Bacteria that become resistant to known antibiotics are on rise. A team of students from the Technical University of Munich (TUM) and Ludwig-Maximilians University (LMU) have developed a new method to produce bacteriophages, the natural enemies of bacteria, which can be used as alternative treatments for bacterial infections. 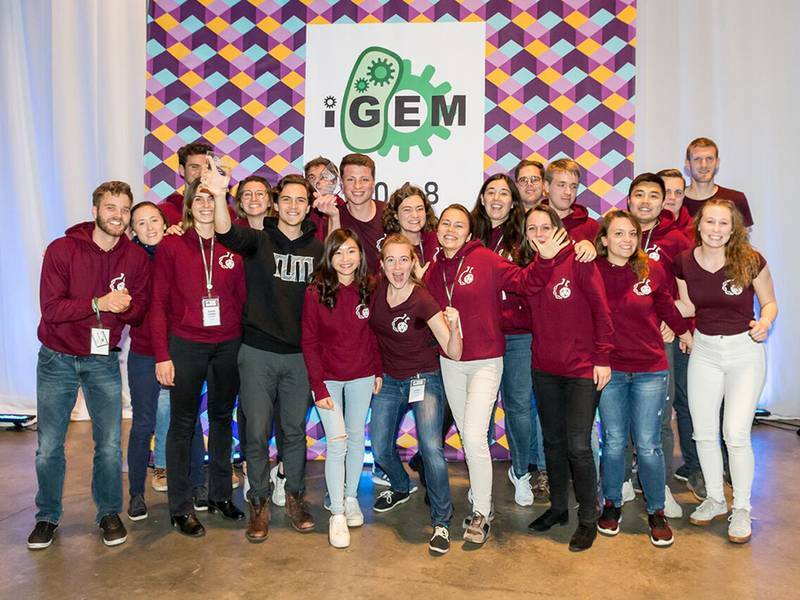 The team took second place among over 350 teams in the renowned global iGEM competition. Bacteriophages, or phages for short, are viruses that are able to attack and selectively kill bacteria. They are regarded as an effective alternative to antibiotics. However, a lack of suitable methods for safely and cleanly producing phages has been an obstacle to their therapeutic application. For the “international Genetically Engineered Machine Competition (iGEM)”, the Munich-based student team developed in the project “Phactory” a fast, safe and uncomplicated method for producing phages. Students from various disciplines, including molecular biology, biotechnology, bioinformatics and electrical engineering, collaborated on the project. A crucial problem with the production of phages is that they require a host cell, meaning a bacterium, to multiply. However, pathogenic bacteria are dangerous, and their use requires stringent safety precautions in the laboratory. The new method is therefore based on a cell-free system that produces safe and clean bacteriophages. As part of their project, the students succeeded in producing bacteriophages against E. coli (EHEC) infections, which have become well-known in Germany due to an epidemic in 2011. The team also developed software that can determine if the phages produced in this way are contaminated by genetic material from other bacteria or viruses. Phages free of impurities are essential for therapeutic use in humans. In order for the phages to be administered orally, the team also encapsulated them in a shell made up of various organic substances. This ensures that the phages are not destroyed by gastric juices and reach their site of action in the intestine intact. In addition to winning second place, the team received further awards for their work in the categories “Best Manufacturing Project”, “Best Software Tool”, “Best Presentation”, “Best Wiki” and “Best Entrepreneurship”. 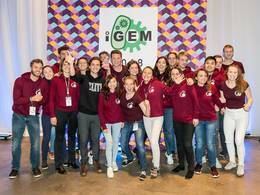 The iGEM competition is aimed at research projects in synthetic biology by students around the world. It is hosted annually by the international Genetically Engineered Machine Foundation, an independent non-profit organization based in Boston. The competition was originally conceived at the prestigious Massachusetts Institute of Technology (MIT). More than 350 teams participated in the 2018 competition, which is held in Boston every year. The team worked in the laboratories of Prof. Dr. Friedrich Simmel and Prof. Dr. Gil Westmeyer at the Technical University of Munich as well as in the laboratory of Prof. Dr. Kirsten Jung at LMU. The project was initiated by the DFG Research Training Group “Molecular Principles of Synthetic Biology”. The team was also supported by sponsors and the UnternehmerTUM network. At the final presentation and the poster presentation, the team was advised by ProLehre. The study was financially backed by Promega, GenScript, Arbor Biosciences, Eppendorf, Th. Geyer and 4titude.